I'm currently rocking some nubs after snapping not one but three nails last week, so hopefully this posting helps you and I alike find some creative ways to celebrate Halloween with our nails - long or short. All images courtesy of their respective companies. 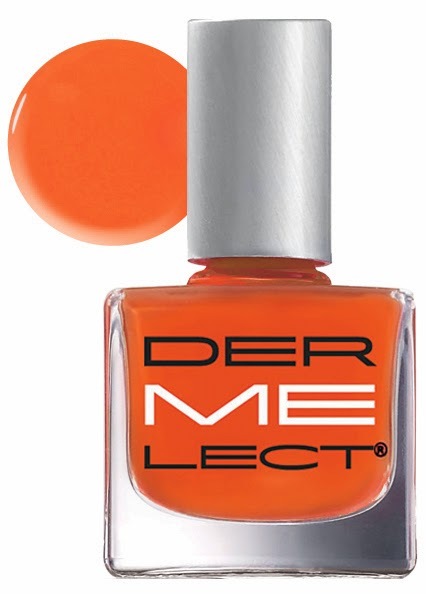 If nail art isn't your thing, Dermelect Cosmeceuticals has 4 brilliant colors that will help accent your costume or show off your holiday spirit. 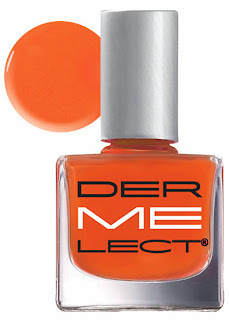 A brilliant tangerine creme - perfect for pumpkin related costumes. A metallic espresso - great for a witch or zombie look. 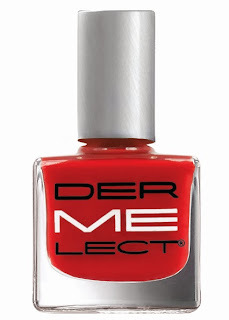 This classic red creme works great for blood related manicures. This delicate peach is perfect for princess costumes. Dermelect ME Anti-Aging Nail Lacquers ($14) at Dermelect.com and high-end apothecaries, beauty boutiques, salons, spas, medi-spas and doctors offices. Next, Pure Ice has 18 scintillating and stylish shades in their new Perfect Potion Halloween Collection including a Glow in the Dark polish to help you mix and match for the perfect manicure. 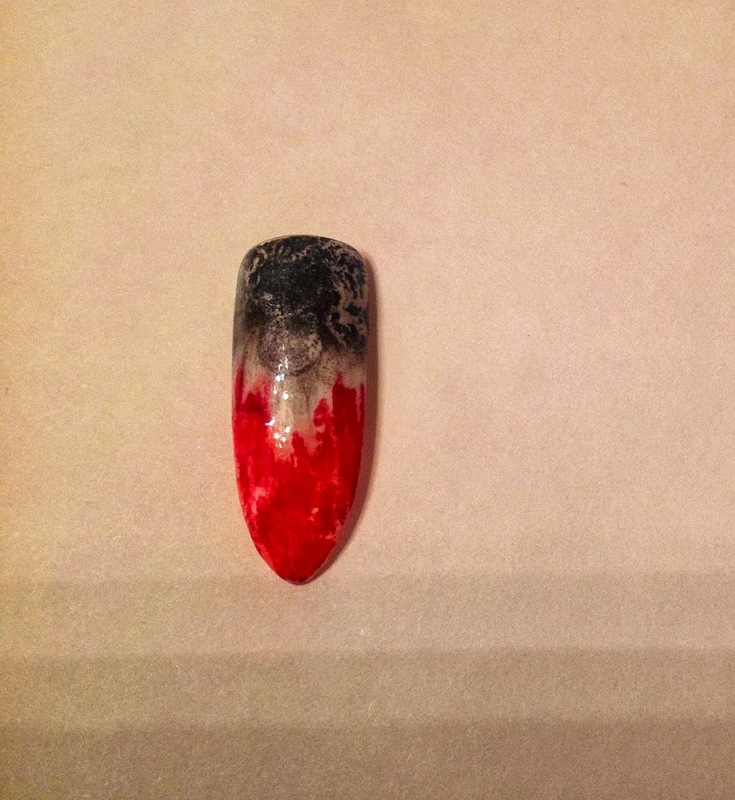 CND is constantly being the innovated one that thinks outside the box, and this Halloween they created Hollywood-inspired nail looks to die for. Ask your favorite salon to help recreate these Shellac looks or the last one is done with Vinylux for the at home DIY-er! 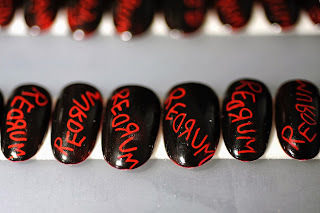 The Redrum - Inspired by the cult classic "The Shining". 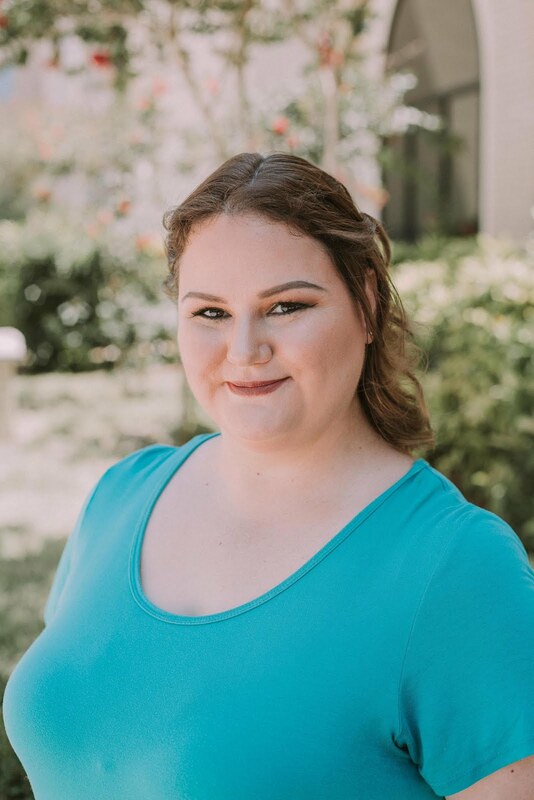 Created by Heather Reynosa-Davis, CND Education Ambassador. 1. Apply a thin later of CNS Shellac Base Coat and cure for 10 seconds in the CND UV Lamp. 2. Apply two thin layers of CND Shellac in Wildfire. Cure each layer for 2 minutes. 3. Apply a thin layer of CND Shellac in Black Pool - DO NOT CURE. 4. Use a style to etch the letters into the wet Black Pool revealing Wildfire underneath. Cure for 2 minutes. 5. Apply a thin layer of Shellac Top Coat and cure for 2 minutes. 6. Wipe with 99% Isopropyl Alcohol to remove top film. 1. Apply CND Shellac Base Coat and cure for 10 seconds in the CND UV Lamp. 2. Apply two coats of CND Shellac in Cream Puff. Cure each layer for 2 minutes. 3. Apply CND Additive in Black Pigment from cuticle towards the center. 4. Apply CND Additive in Red Pigment from the edge towards the center. 5. Apply drops of isopropyl alcohol randomly on black pigment area. 6. Lightly apply CND Shellac in Wildfire over red pigment area and cure for 2 minutes. 7. Lightly dust CND Additive in Steel Dreams over black pigment area. 8. Apply CND Shellac Top Coat and cure for 2 minutes. 1. Apply two coats of CND Vinylux in Steal Gaze and wait for it to dry (8.5 minutes). 2. Using a striping brush, draw two large almond shaped eyes using CND Vinylux in Black Pool. 3. With a striping brush, outline the shape of the alien's head and fill in the surrounding area with CND Vinylux in Midnight Swim. 4. For additional effect, use a sponge dipped in CND Vinylux colors of your choice to create a nebulous, space-like look. Let dry for 1 minute. 5. Apply CND Vinylux Weekly Top Coat. 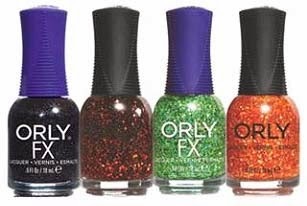 ORLY brings you 4 polishes that are sure to give you just the right of glitz and glam for any Halloween Look. Black Pixel, Right Amount of Evil, R.I.O. and Monster Mash; $10 each at OrlyBeauty.com. Additionally, ORLY is offering free shipping on all orders over $16 with the code FALLFREESHIP from now until November 15th. Any guest who makes a purchase using FALLFREESHIP is additionally eligible to receive a coupon code for 20% off their next order. All 20% off coupon codes are eligible for savings through December 15th. Prep the nails first: Apply Gelish MINI Nail Surface Cleanse on to a lint-free wipe to clean the nails. 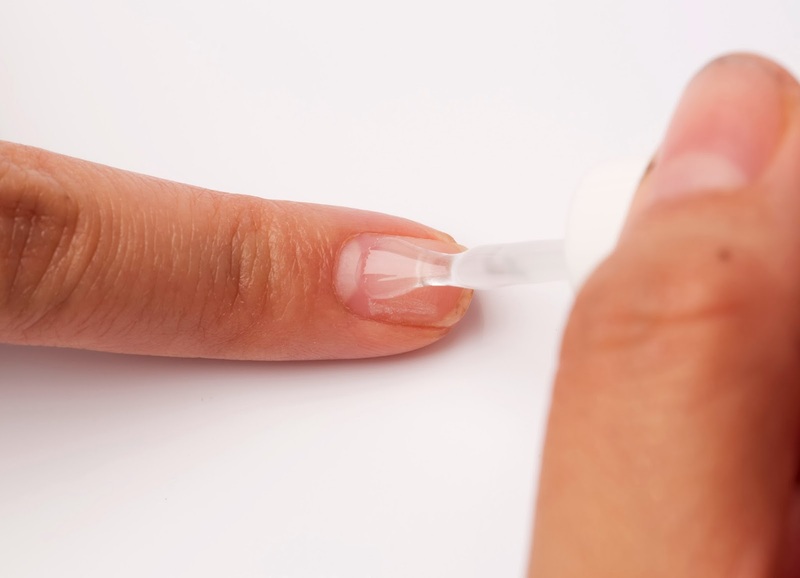 Push back the cuticle and clean the surrounding nail. Apply an adhesive tab to the plastic pusher and lightly buff the nail to remove the shine. Apply Gelish MINI Nail Surface Cleanse to a lint-free wipe to remove the dust and clean the nails. Dehydrate the nail plate with Gelish MINI pH Bond. 1. 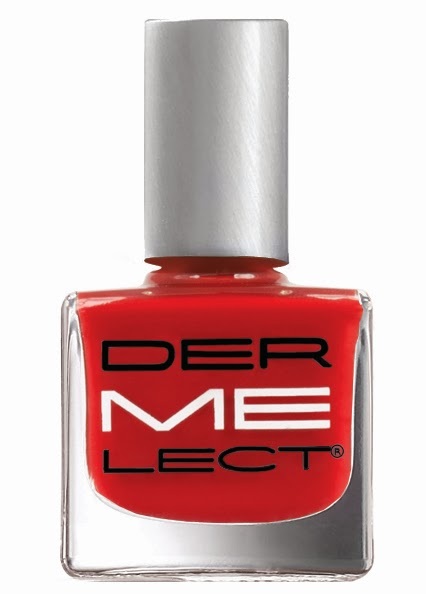 Apply a thin coat of Gelish MINI Foundation Gel to the nail, making sure to cap the free edge. Use a clean orangewood stick to clean up any excess Gelish MINI Foundation Gel from around the cuticle or under the nail. Cure in the Gelish MINI Pro: 45 LED Light for 45 seconds. After curing Gelish MINI Foundation Gel, a tacky surface will remain. 2. 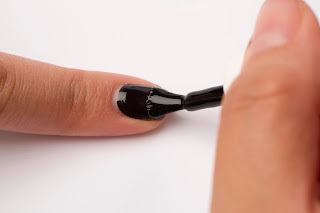 Apply a thin coat of Gelish MINI Black Shadow to the entire nail bed from the cuticle to the free edge. Cure in the Gelish MINI Pro: 45 LED Light for 45 seconds. Apply a second coat of Gelish MINI Black Shadow for full coverage. Cure in the Gelish MINI Pro: 45 LED Light for 45 seconds. Darker colors, such as Gelish MINI Black Shadow may need to be cured longer. 3. Using the larger end of a double-ended dotting tool, place two dots of Gelish MINI Sheek White on the nail bed next to each other. Cure in the Gelish MINI Pro: 45 LED light for 45 seconds. 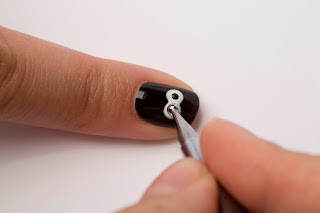 Using the smaller end of the double-ended dotting tool, place two smaller dots of Gelish MINI Black Shadow inside the dots of Gelish MINI Sheek White. Cure in the Gelish MINI Pro: 45 LED light for 45 seconds. 4. Seal with a thin coat of Gelish MINI Top It Off Sealer and cure in the Gelish MINI Pro: 45 LED Light for 45 seconds. Your nails will remain tacky until they are cleansed. 5. Apply Gelish MINI Nail Surface Cleanse to a lint-free nail wipe to remove the tacky surface. 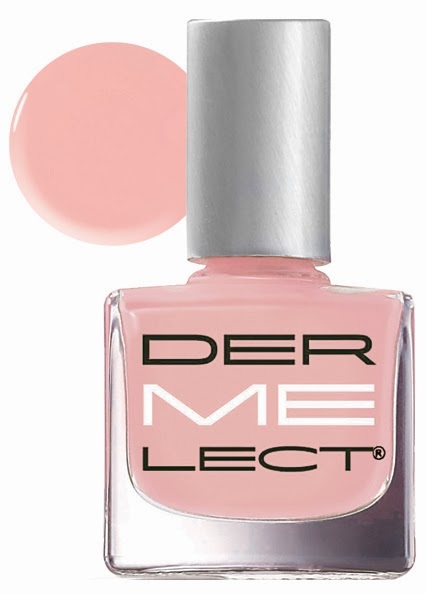 To finish, apply Gelish MINI Nourish Cuticle Oil to the skin surrounding the nail plate and massage into the cuticles. There you have it! No matter what your skill level or what products you have, there are many options to rock a great manicure next week for Halloween. Stay tuned to PolishGalore to see what I ended up wearing next Thursday! 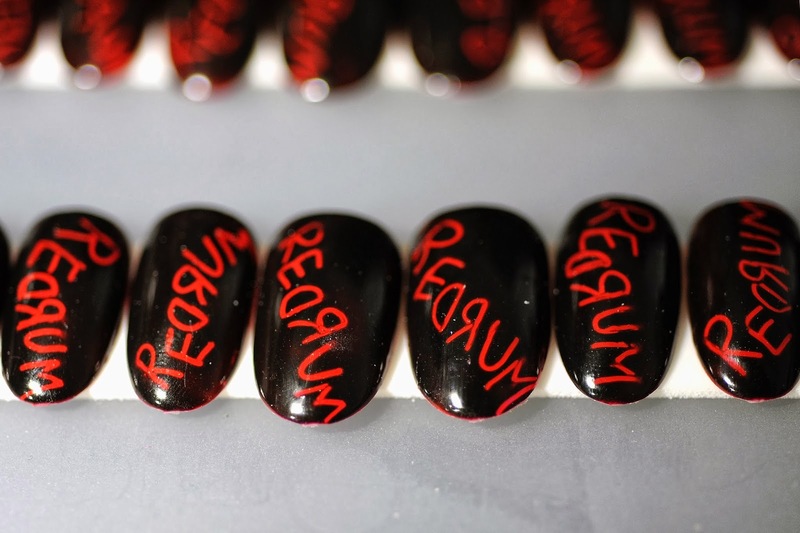 I am a new fan of your blog, like I told you on the conference, I'm a nail polish addict. Elba!!! Hi!!! Thank you so much! Yeah I'm seriously thinking about doing eye art for my Halloween look - haven't made up my mind yet.